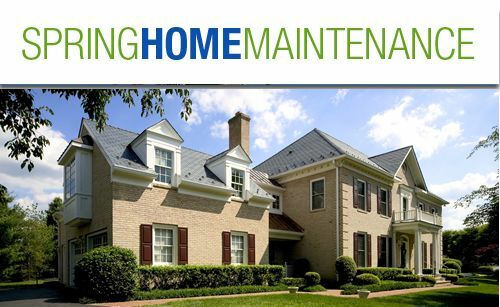 March Home & Family Newsletter – Pagenstecher Group, Inc. Remove leaves and debris. Check for joint separation, loose fasteners, or corrosion. Gutters can expand and contract with freezing and thawing, which causes sagging. Reattach so they’re flush and secure against the roof. If you don’t have them installed already, now is a perfect time to consider a gutter guard system, to alleviate gutter cleaning for good! Check for deteriorated mortar or spalling, where the brick facing has chipped away to expose its interior. Spalling leaves the brick susceptible to moisture and crumbling. Seal these areas with an appropriate sealant. Check for white salt deposits that remain after the water evaporates and brush gently to remove it. Look for lost or damaged shingles. Check to flash around plumbing vents, skylights, and chimneys. Inspect attic rafters for water stains. Examine siding under the roof eaves and inside ceilings for water or discoloration; these indicate ice dams may have created leaks along the roof edge. Has any repair work done by a qualified roofer? Check the chimney exterior for signs of damage. Have the chimney cap and flue inspected for cracks or leaking? Get the chimney cleaned. Clean the exterior with a pressure washer to remove mold. Check wood surfaces for weathering. If the paint is cracked or peeling and the wood is exposed, scrape loose paint, sand the area, and apply primer before painting. Replace any rotted wood. Monitor any hairline cracks in foundation walls. Minor cracks that result from settling are normal. Mark cracks with tape and checks them every few months. If you can slide a nickel into any crack in your concrete slab or foundation, it’s time to call in a professional. Concrete driveways, patios, and walkways Inspect for cracks or signs of movement. Fill cracks with a concrete filler or silicone caulk. When weather permits, pressure-wash the concrete and seal. Have a qualified contractor clean and service the outside unit of your air conditioning system. Trim all vegetation and overgrown bushes that are touching structure to prevent them from scratching the sides of the house. Check for weakened trees and broken branches. Check your lawn sprinkler system for leaks, exposed lines, and broken sprinkler heads.